Benghazi, Libya | AFP | When a cash crisis struck the war-torn North African country of Libya, many people were forced to queue for days to withdraw their savings. But electronic payments systems set up to tackle the dearth of cash have struggled to gain credibility amid accusations of abuse. Said Fayez Fadlallah, 35, uses a mobile phone app to pay for a trolley-full of groceries at a large supermarket in second city Benghazi. Years of violence and political chaos since a 2011 NATO-backed uprising that toppled and killed longtime dictator Moamer Kadhafi have left Libya’s state institutions in crisis — including the central bank. In 2014 it split into two, with the different branches overseen by rival governments in the west and east. The resulting cash crisis, fuelled by spiralling inflation, caused huge queues to form at the banks and left many people unable to access their salaries. In response, the banks have launched electronic payment systems. In Benghazi, the Bank of Commerce & Development’s “Edfali” (Arabic for “pay me”) and Wahda Bank’s “MobiCash” allow users to buy goods, pay restaurant bills and access pharmacies and hospitals. But not everyone is happy. At the exit of the same Benghazi supermarket, his arms full of produce, Ayman al-Obeidi, 46, said the new payment systems were not working. 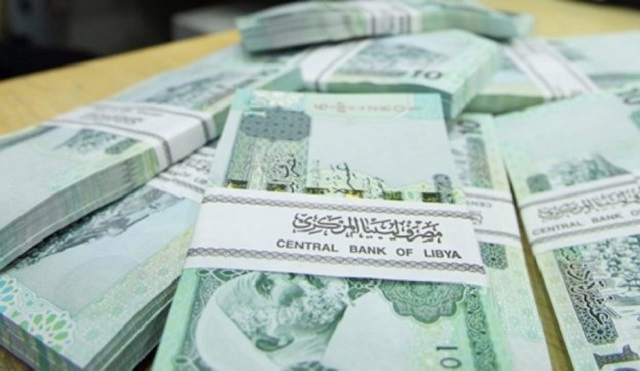 Many Libyans have not had free access to their bank accounts since 2014. Braving cold in winter and blistering heat in the summer, they rushed to the banks on hearing rumours of cash deliveries and queued for hours without any guarantee they would be able to access their own money. The crisis has destroyed public confidence in the financial sector. “People don’t trust the banks any more,” one bank employee told AFP, speaking on condition of anonymity.